For the Love of Snorkeling. I was fortunate to spend the last two and half years of my college experience in Hawaii. (That’s right, I have a college degree, a BS in Vocational Management.) I loved Hawaii. I loved the ocean, the weather, the beaches and I love to snorkel. Back then I could hold my breath for three minutes and free dive down to forty feet. I feel at home in the water and sometime I wonder if I wasn’t a sea snail in a previous life. Or fish, I could have been a fish. In Hawaii I had roommates that were Hawaiian, Tongan, Chinese, Nigerian, Australian, and Japanese. It was my Japanese roommates that taught me to night dive. Night diving is snorkeling at night with a waterproof flashlight and a Hawaiian Sling. 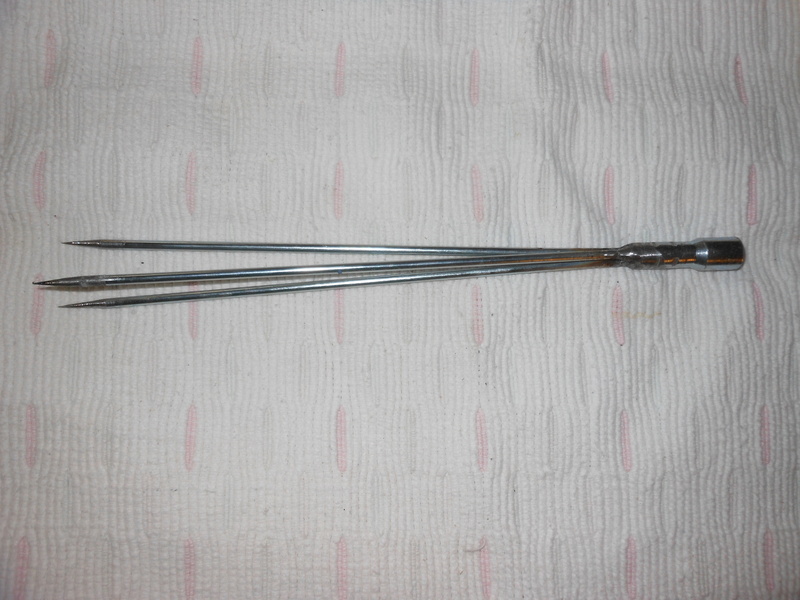 A Hawaiian Sling is a five-foot, three pronged spear with a loop of surgical tubing on the end. 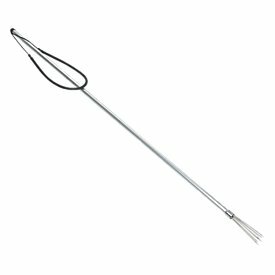 To use the sling you hook the rubber tubing over your thumb on an outstretched arm, you grab the shaft by your other hand and pull it back toward your chest, stretching the tubing. With the hand that has the rubber tube hooked around the thumb, you grip the shaft tightly. When you are ready to shoot the spear you let go of the shaft and the spear rockets forward, powered by the stretched out rubber tubing. It’s simple, but deadly. Around midnight at least once a week, my diving buddies and I would drive to a stretch of beach that had a coral reef about fifty yards off shore. I still remember the feeling of fear and exhilaration when I would walk up to the rocky shoreline, look down at the black water and wonder what the hell was I thinking, turn on my light and dive in. We would fish for an hour or two, diving down to the coral caves and spearing fish that were napping for the night. On our nighttime forays we would collect fish, eel, squid and lobster. When I left Hawaii, I left night diving and spear fishing behind. I still snorkel every chance I got, but on the mainland it’s illegal to spear fish in rivers and lakes. A couple of years ago we were invited to vacation with some good friends and their family in Mexico. We had vacationed in Mexico several times in the past, but always at a commercial resort. On this vacation we stepped out of our comfort zone and stayed at a private home in a little town, El Cardinal, on the Sea of Cortez. The home was a beautiful, custom built, Spanish style home with a swimming pool and very large covered patio. The estate sat on about two elevated acres that overlooked the sea below. As a big fan of snorkeling, I was in heaven. A reef ran from the beach out into the sea. It was some of the best snorkeling I have ever experienced. On one swim I snorkeled over a school of fish that was so large and so layered that I could not see the sea floor. After that encounter the grounds keeper offered to lend me his Hawaiian Sling, or Mexican Sling, whatever the case may be. 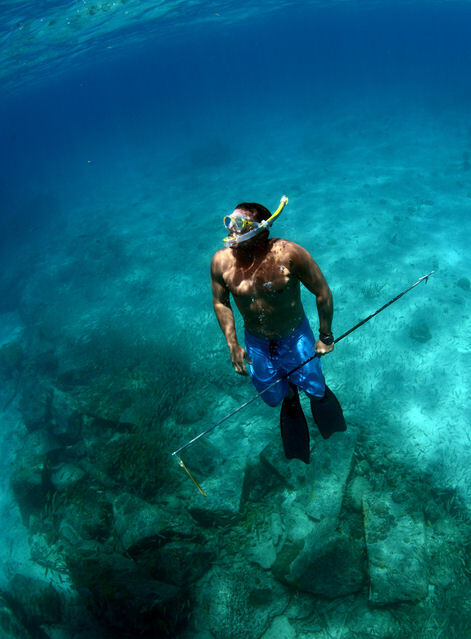 Unfortunately, when I snorkeled with his spear I didn’t see any fish that were edible. After that vacation I decided that I needed to own another Hawaiian Sling. I wanted one that would break down into three pieces so that it would fit in my suitcase, so I started shopping on line. What I found was that they are pretty proud of slings that come apart. So, as usual, being a cheap guy, I decided that I could make my own. I realized that I needed some kind of rod that would screw together so that it would come apart, but it had to be strong and flexible. My college Hawaiian Sling was a one-piece fiberglass rod, so that’s where my mind went first. I remembered from my fifteen years working as a retail manager in a home improvement center that we use to sell three-foot rods for cleaning chimneys. The rods screwed together to form a single rod long enough to shove a brush down a chimney to clean the creosote out of the flue. I decided that I would need two of those fiberglass rods, a 3’X1/6” round steel rod to make the three prong end and two feet of heavy duty rubber tubing. Once I procured the items at Ace I was ready to make my spear. The rods were three foot long so when I screwed the two together they were way too long. I wanted the overall length to be about five foot. That meant each rod could be two foot and the tip could be 12”. I cut one foot and the female end off one rod and a foot of rod and the male end off the other. The female end I would use to make the spear tip, but I needed to reattach the male end back onto the other shortened rod. I cut the male end off the one foot piece of scrap rod and drilled the fiberglass out of the fitting. 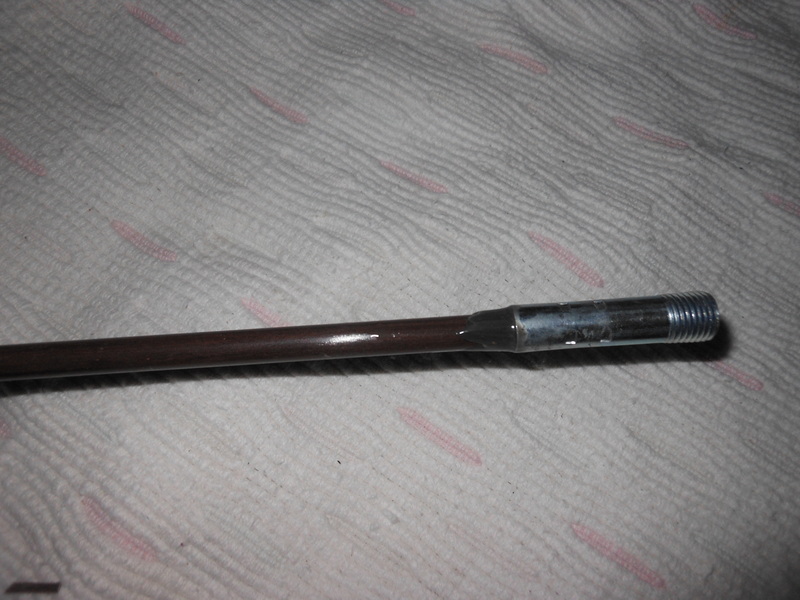 Using JB Weld, I epoxied the male end back on the two foot piece of rod that had a female fitting on the opposite end. JB weld is great stuff, but to make sure the glued male end wouldn’t come off I drilled a small hole through the fitting and rod and put a small nail through the hole to pin them together. Through the top end of the other rod I drilled a 1/8” hole and put a short piece of cord through it and a tied the rubber tubing to each end of the cord forming a loop. I drilled the fiberglass out of the female fitting that I had cut off so I could make the three pronged tip. To make the tip I first cut the three foot steel round rod into three, one foot pieces and sharpened the ends to a point. I inserted the other ends of the three steel rods into the socket end of the female fitting and welded the fitting and steel rods together. Now I would be able to screw the spear end onto the male end that I glued and pinned back on the fiberglass rod. I made a carrying case for the spear out of PVC pipe with a cap glued on one end and another cap that slips on the other end and I cap the spear with a short piece of rubber hose so I don’t hurt myself when I’m not using the spear. I hope that with the written description and the pictures these instructions will be clear. I’m not sure how many people will want to make their own Hawaiian Sling, but anyway…for what it’s worth. Just read your article. I recently went to Arkansas and saw that they allow Spearfishing at Bull Shoals. So, I started planning my next trip. I wanted to build my own speargun but I came across your article during my online search. I will make one similar to yours but with interchangeable tips, using my extra crossbow bolts as the tips. Thank you for writing this article. Did you have any luck fishing with your speargun?